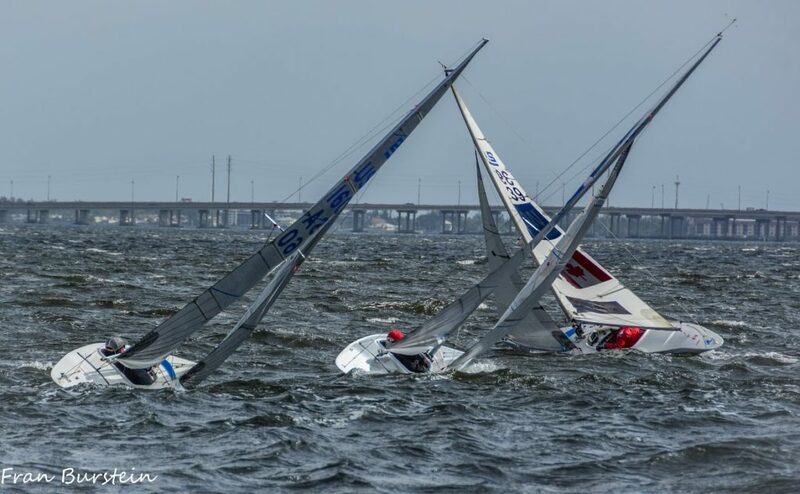 Last weekend of January was the Edge Midwinters 2.4m regatta hosted by Edge Sailing and Charlotte Harbor YC. Some informal training sessions were held during the weekdays before the regatta including participation by Bjornar Erikstad ( NOR 1 ) before he had to return his boat to the Norwegian Sailing Team container in Miami to return home. 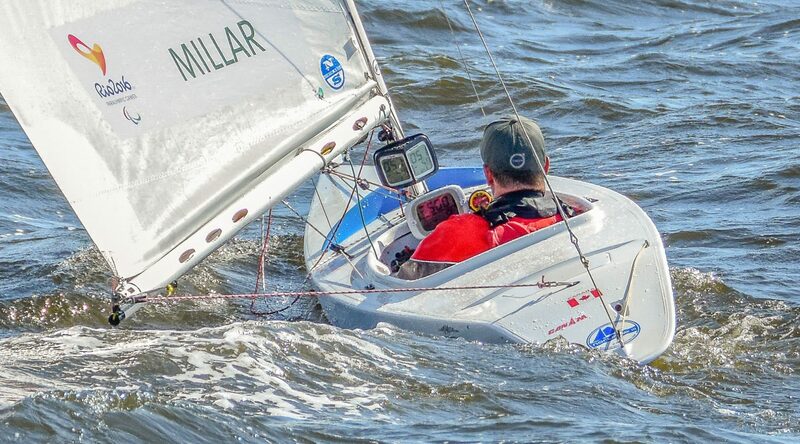 Hopefully he can encourage other Europeans to join our winter Can Am 2.4m Regatta Series next fall by shipping their boats to Florida after the world disabled championship in Sheboygan, Wisconsin in September 2018. With warnings from Regatta chairman Martin Holland, and laughter from the northerners, about the unseasonably cool water ( a bit less than the usual 25° C! ) the regatta got underway with three races in 10 to 20 knot winds. Dee Smith won all three with great battles for the next five positions. Day two was similar wind and wave conditions and current. Alan Leibel moved up with two seconds and the next four of Bruce Millar, Peter Eagar, builder Tony Pocklington and Charles Rosenfield had close racing. The racing was close throughout the fleet which gave lots of action at the marks and finishes. 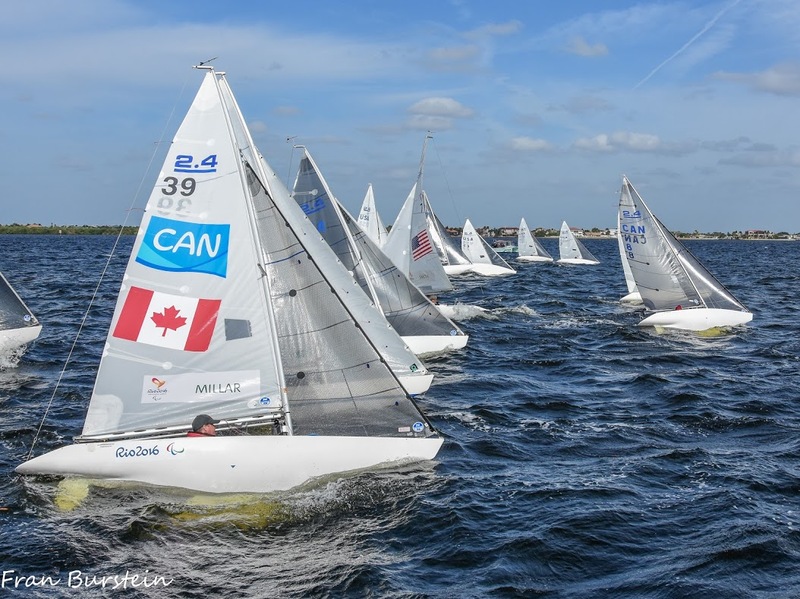 Try to join the fleet for the February Can Am #4 regatta as well as the Western Hemisphere 2.4m Regatta and the March 27 training session followed by the Can Am finale Thursday, Friday, Saturday, March 28, 29, 30.